SC today commenced hearing on a batch of pleas filed by the Delhi government against the HC verdict which had held that Delhi is not a state and LG is its administrative head. 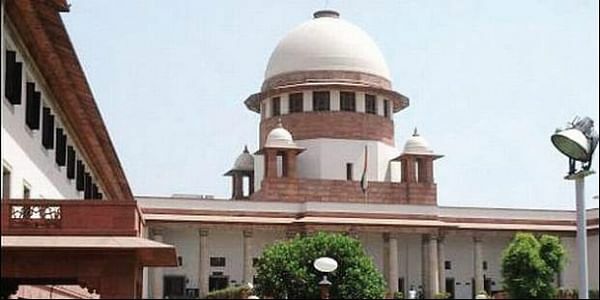 NEW DELHI: The Supreme Court today commenced hearing on a batch of pleas filed by the Delhi government against the high court verdict which had held that Delhi is not a state and the Lieutenant Governor (LG) is its administrative head. Senior advocate Gopal Subramaniam, appearing for the Delhi government, initiated the argument before a five-judge Constitution bench headed by Chief Justice Dipak Misra. He told a bench, also comprising Justices A K Sikri, A M Khanwilkar, D Y Chandrachud and Ashok Bhushan that their plea challenges the Delhi High Court order of August 4, last year, by which it has said that LG is the administrative head of Delhi, which is also a union territory. He said the challenge is to Article 239 AA by virtue of which special status is accorded to Delhi. The apex court had on February 15 referred to a Constitution Bench the pleas filed by the AAP government against the high court verdict which had held that Delhi is not a state and the LG is its administrative head. The city government had on February 2 told the apex court that it has exclusive executive powers in relation to matters falling within the purview of the Legislative Assembly and neither the Centre nor the President or the LG can encroach upon these. The apex court, however, had said that it is correct that the elected government should have some powers but whether it will be as per the Delhi High Court verdict or as it is being perceived by the Delhi government needed to be looked into. The Constitution has given a face and identity to a government in Delhi after inclusion of Article 239AA and the executive decisions taken and implemented by it cannot be reversed by the LG, it had contended. The apex court had on December 14, last year, observed that the Delhi government should have some powers otherwise it cannot function while hearing the appeals of the city government. On September 9, 2016, the apex court had refused to grant an interim stay on the verdict of the Delhi High Court on August 4 last year.